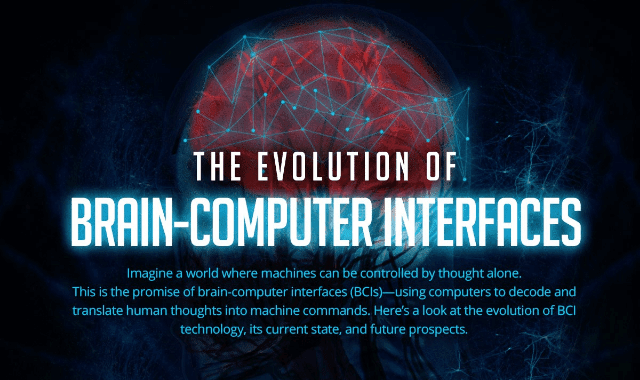 The Evolution Of Brain-Computer Interfaces #Infographic ~ Visualistan '+g+"
Imagine a world where machines can be controlled by thought alone. This is the promise of brain-computer interfaces (BCIs) using computers to decode and translate human thoughts into machine commands. Here's a look at the evolution of BCI technology, its current state, and future prospects.